I’m assuming this is also a Lucky Dedmore photograph. 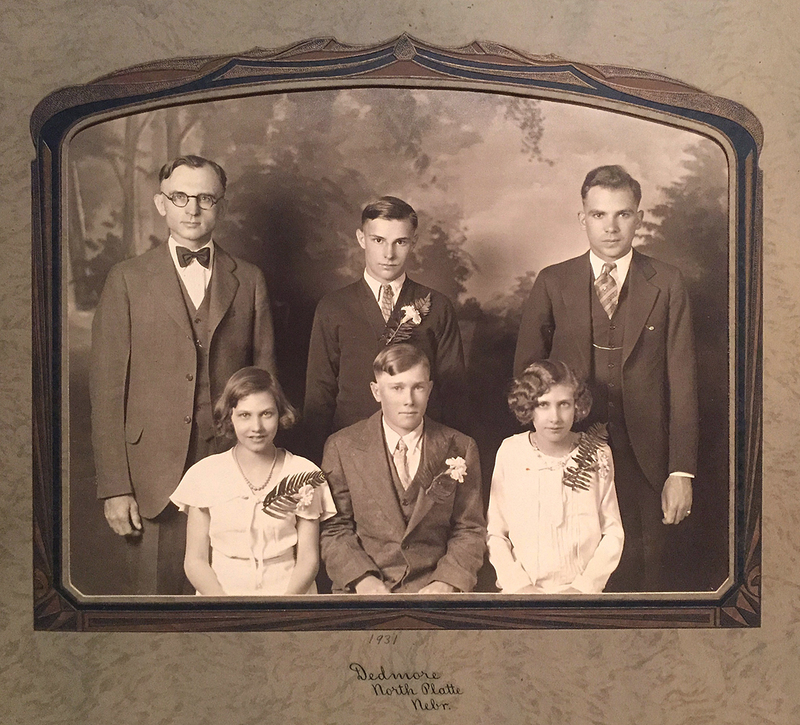 The photo was labeled “Brown, North Platte, Nebr.” Perhaps it’s the Brown family? If so, where is Mrs. Brown? 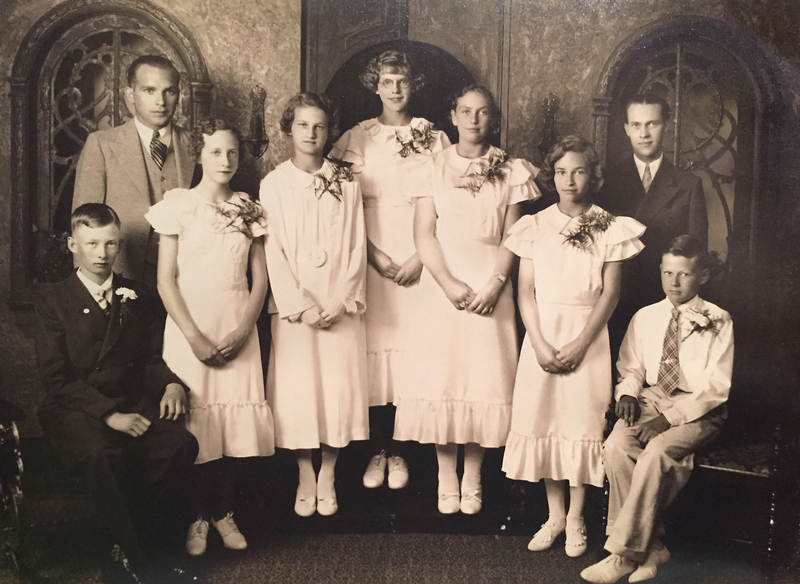 There appear to be eight children—five daughters and three sons, but no one old enough to look like a mother figure. Wonder what the story is behind this portrait? Several years ago, I launched a blog for what I call “The Orphaned Images Project.” I am always a bit saddened when I discover albums and projector carousels at thrift stores, and yard/estate sales (their loss, my gain). Who gives up photos of their families? Are all the members of that family deceased? Was there a rift? And I wonder about the photographer. Was he/she passionate about being the family recorder (as much as I am about being one)? If you’d like to see more “orphaned images,” visit my blog at http://www.orphanedimages.wordpress.com. With just a little bit of research, I’ve discovered that Dedmore is the name of the photographer for this photograph shot in 1931. This is one of many portraits I bought in a batch from someone on eBay some time ago. This is no labeling as to who the family is, unfortunately. P.S. There is a remote possibility this is actually the Dedmore family and it could possibly have been set up by Dedmore. 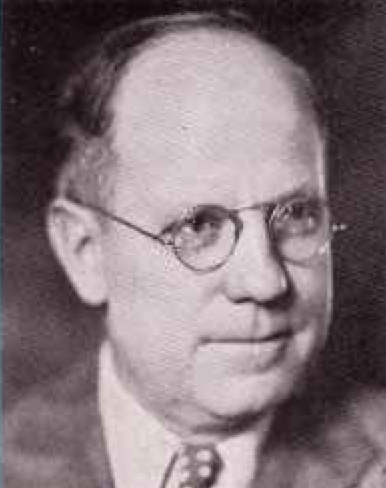 I have another photo I’m about to share that reads “Brown and North Platte, Nebr.” Wonder if that’s the Brown family? 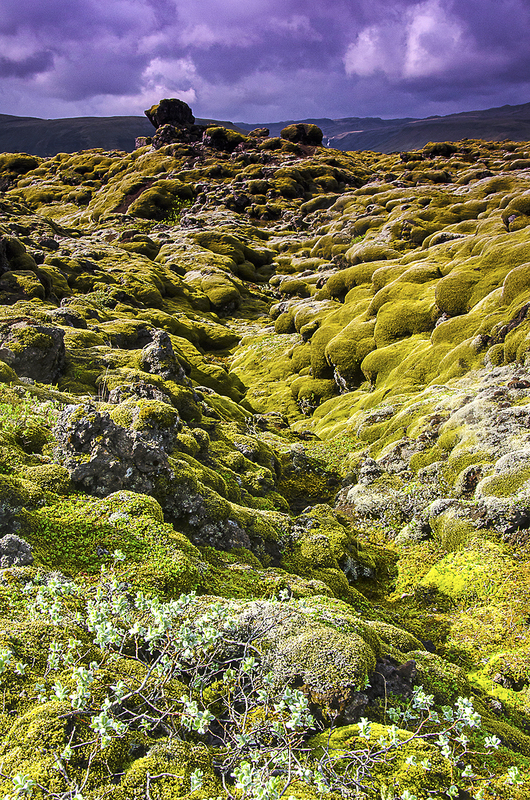 From the Iceland archives (June 2014), moss-covered lava rocks in south Iceland. This place was hauntingly beautiful—I felt like I was on another planet! I love the light in this shot—storm clouds in the distance, sunlight breaking through in the foreground. For Installment #13, my friend Betty Ferguson has ramped up her contributions big-time by hitting the road in search of stamp lovers! Determined to win that gallery wrap canvas, she is currently the frontrunner with 41 recruits! First up is Betty’s friend Candace Meinders (Arlington, VA), whom I met several years ago at one of our first Chocoholic Parties (Hi Candace! ); Brandon (Dallas, TX); Dallas & Kim (TX); Debbie (Frisco, TX); Evan (Richardson, TX); Hugo (MN); Irene (MN); Julian (all the way from Austria! ), and Kathryn (Grapevine, TX). Next, we have my friend Carmen Mezzacappa with her friend Colleen, followed by the Mahaffey Plantation Bunco Babes (Carmen’s note on this entry read, “We were well into our drinks by this time…note the stamps on our foreheads!”). Next, my friend Laurie Pullins (Maryville, TN) with her audiologist Beth Humphrey (Knoxville, TN); Laurie’s dancing feet (she is a competitive ballroom dancer! ); Laurie with her friends Jennifer Nelson and John Tourtellote at Let’s Dance Ballroom Dance Studio (Maryville, TN), and finally, Laurie with her husband Steve Pullins at a Christmas in July celebration. Next, we’re back on the road again with Betty Ferguson in a Japanese Garden in Adare, Ireland (where she accidentally left behind her traveling stamps! ); and in front of a sign advertising “Big Bad Bob” at the National Stud Farm in Ireland, followed by Pat (Oklahoma). Our next entry is my friend Barbara Kelley, who found pre-stamped envelopes at her local post office (didn’t even know they were selling these!) and sent in proof. Betty Ferguson comes in again with her last-minute entries to Installment #13—Sherry (Georgia), Polly (Georgia), Mona (Louisiana) and Janet (Georgia). THE ONES TO BEAT TO WIN A FREE GALLERY-WRAP CANVAS: Betty Ferguson (41) and Sue Cummings Titterington (27) are the top two recruiters. Thanks to my friends Steve Stroupe (14), Kathy Muchemore (7), Judy Schefcick Martin (10), Martha Biz (7), and James F. Williams (5) for recruiting friends and family as well for the project. The contest ends at midnight on December 31, 2015, so start recruiting those stamp selfies!